If you've been noticing, I've been wearing some pieces that are very versatile and comfy. I find these pieces more stylish and elegant, also wouldn't broke my bank account. Just like my recent affair with boyfriend shirts. So like for every quarter of the month, I spent my two Saturdays to hunt for the good quality boyfriend shirts, with good fabrics and buttons. Nope we are talking about hunting the curated boutique stores, and designer closets here. I'm talking about the more 'pang-masa' way of shopping - going to ukay-ukay stores! I know right, ukay-ukay stores are full of surprising pieces! You just have to be ready with your gears (like super comfy clothes, a bigger shopping bag, and sanitizer of course) before attacking these cool stores. I must say I'm good at this. I love checking on men's shirts and picking-up huge size (around size 34 to 39) well, the bigger the better because I can easily play with it with my needles and scissors. Men's shirt just like T.M. Lewin's that last longer than other brands. It just always happen that I've always got T.M Lewin shirt from thrift stores, and never think twice to buy it. These shirts from thrift stores cost me Php80.00 (roughly $2.00) per piece! I cut-out the excess sleeves based on my desired length, then sew the ends. Then I rolled the sleeve up to my elbow. Add with a little of imagination, aaand Yey! It's my winning shirt that I could wear in whatever style that I want. Isn't it cool, being stylish without breaking your bank? *pink shirt and this pin-striped white boyfriend shirts that I've bought from ukay-ukay stores, just $2 each! Nice top. And you style perfecrly and know how to wear it right. You look awesome! I love that pink shirt with the belt. Looks simple yet lovely. I also like that it can be worn at anytime of the day but with different shoes! Very easy to style with and match with any shoes! 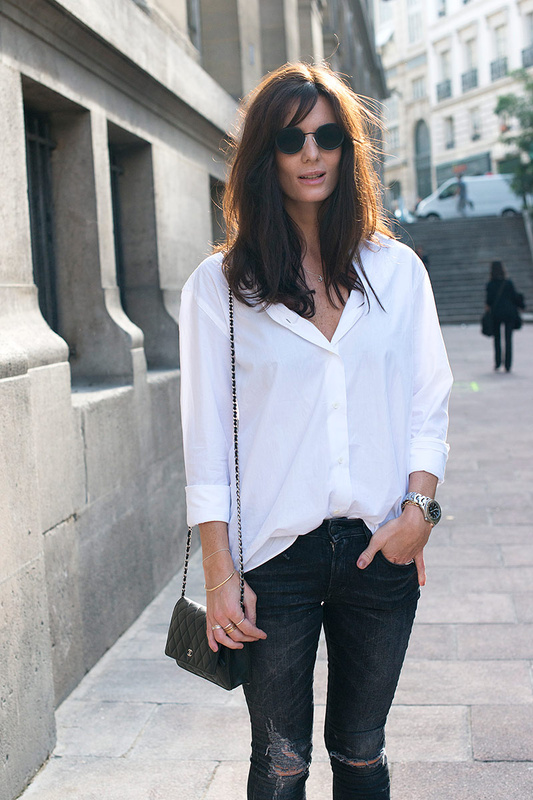 Boyfriend shirts are a big win, with pants or no pants, it can fit awesomely as a *dress*! This is actually a perfect style for lazy days that you don't want to think too hard on what to wear hihi! As a person who IS a boyfriend, I now realize that maybe I need to go get some shirts like this so that my girlfriend can wear them. Seems like something she would like! Yeah and its very easy to style, and accessories. You can even both share the shirt! 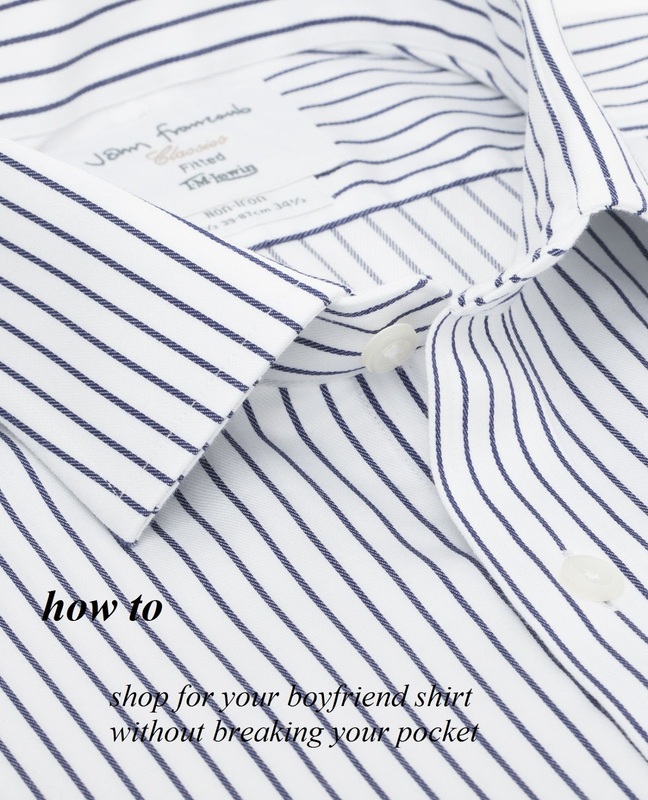 Never thought of using men's shirts ! will be using my Dad's stuff.Looks great on you.Thanks for the tip. You look amazing! I didn't have a sense of sewing skills, and I'm so impressed with what you did tho! It's quite good and for such a price! Thank you Liana! I'm a thrifty shopaholic diva!